Lloyd was born in Arkansas and the family moved to the San Pedro, Wilmington area in greater Los Angeles when he was a small boy. He stared school there but was only able to attend half days because of the overcrowding in the schools during and after the war. At Beardsley Jr. High School, Lloyd was developing skills in all sports and also exhibiting leadership skills. 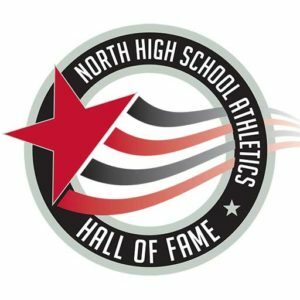 Upon entering North High School in 1954, Lloyd quickly established himself as one of the top athletes in the school. As a junior, he was the starting QB and arguably the best in town. In basketball and baseball he excelled and led he teams in many categories. Lloyd was one of 2-3 baseball players that actually went up to the stadium to run track in his baseball uniform between innings. He was that good. Prior to the beginning of football season for his senior year, it was discovered that Lloyd was actually 19 which made him ineligible to play any sports as a senior. He still came out for football and spent the year running the opposing teams offense against the varsity defense in practice, never missing one practice and never complaining one time. Consider that sacrifice and try to imagine someone doing that today! His contribution was instrumental in the varsity having a championship 9-1 season. He was named Most Inspirational Player that year and will not be forgotten by those who knew and played with him. Lloyd Mosley, truly one of North High’s finest.